The Super Bowl, American football's championship game, is the most-watched annual sporting event in the United States; since 1967, it has marked the conclusion of the fall football season and determines the best team in the National Football League (NFL). The New England Patriots defeated the Los Angeles Rams 13-3 on Sunday to win a NFL record-tying sixth Super Bowl title. The New England Patriots' Tom Brady, 41, became the oldest quarterback to win the championship game. The Patriots' wide receiver Julian Edelman was named the Most Valuable Player following Super Bowl LIII. Edelman caught 10 of the 12 passes thrown his way, allowing him to carry the ball 141 yards, and rushed once for eight yards. According to media reports, the game was highlighted by a standoff of generations at quarterback and head coach. This was billed as a battle pitting 41-year-old Tom Brady and 66-year-old Bill Belichick of New England against 24-year-old Jared Goff and 33-year-old Sean McVay of Los Angeles. According to the NFL, the Patriots won their sixth Title 13-3 over the Rams in the lowest-scoring Super Bowl ever. In an interview aired during CBS' pregame show on Sunday, US President Donald Trump called Patriots' quarterback Tom Brady and head coach Bill Belichick the best ever, adding that he had planned to watch the Patriots-Rams game at his private golf club in Palm Beach, Florida. 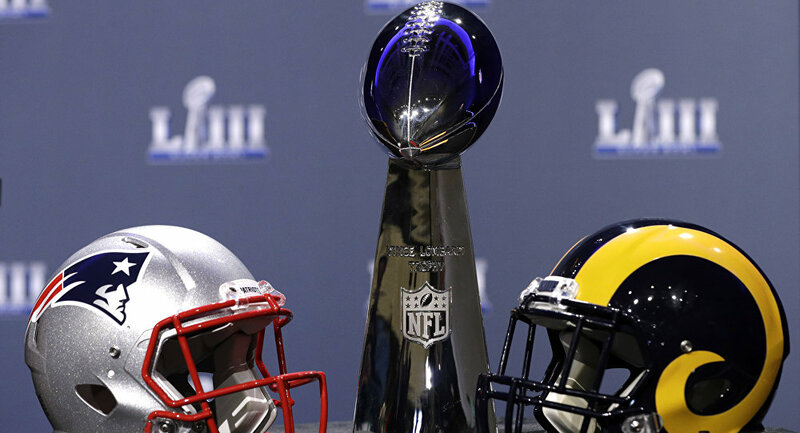 Sunday's game between the Rams and Patriots marks the eighth rematch in Super Bowl history.